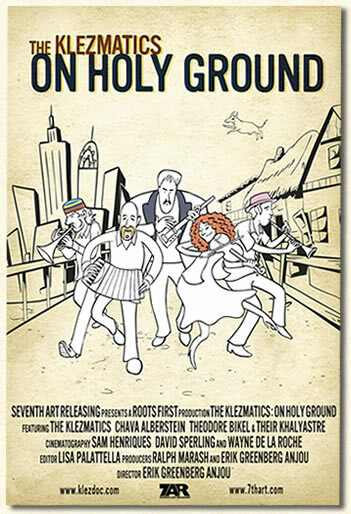 The Klezmatics’ holy ground is where a Quaker bassist and Reform Jewish trumpeter, Yiddish language, Hasidic dance, gospel music and Woody Guthrie meet. The feature-length documentary is the crown of a four-year journey alongside the band members, their music and their creative process. Time Out, New York magazine announced, “The Klezmatics aren’t just the best band in the klezmer vanguard; on a good night, they rank among the greatest bands on the planet.” From New York’s Lower East Side to Krakow, Poland, this film shows why. The documentary of the Grammy-winning band, which has screened in over 70 cities in the US and abroad, is now available on a special edition DVD with bonus material not available anywhere else!